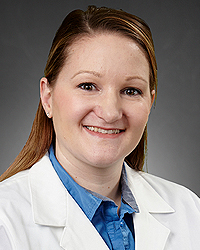 Marie Middleton, APRN-CNP is a highly skilled certified nurse practitioner specializing in Family Practice at CenterMed Family Practice, Centerville, OH. Marie is passionate about her work, providing patients and their families, family centered care for each individual bettering them to maximize their quality of life. She welcomes patients of all ages for preventative care and disease management. Her commitment to patient care mirrors the Network’s mission to improve the quality of life of the people in the communities we serve. Marie is married and has two children, a son and a daughter, whom she enjoys spending time with camping and watching movies.